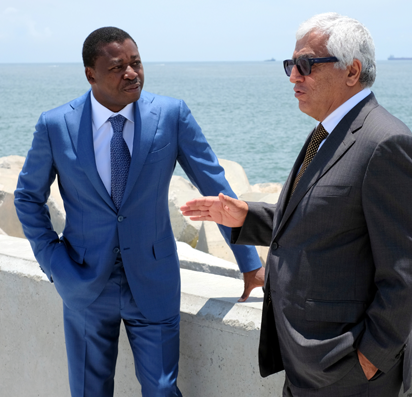 The President of Togo, Faure Essozimna Gnassingbe, who pays particular attention to the issues of fight against global warming and protection against coastal degradation in Africa, has commended Eko Atlantic City on its technique adopted to provide a permanent solution to coastal erosion. He gave the commendation during a tour of the new city, led by the Chairman of South Energyx Nigeria Limited, Mr. Ronald Chagoury, on September 21, 2018. Coastal Erosion, a menace experienced through-out West Africa, including Nigeria and Togo, has been an on-going problem for hundreds of years impacting the lives of millions of African. 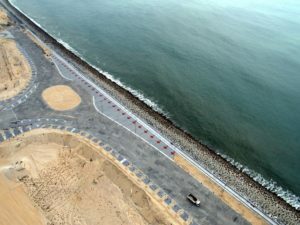 Commendably, Eko Atlantic City has proved to be a sustainable solution to this threat with the construction of a great sea revetment known as the ‘Great Wall of Lagos’. The Great Wall of Lagos was constructed soon after the collapse of Bar Beach in 2005. Its construction was an urgent action required to protect the shoreline of Victoria Island and Lekki and the potential loss thousands of lives, homes, businesses and vast areas of developed land. “In fact, this endeavour has not only stopped erosion, it has created a smart city, a financial hub and has united us with our neighbours to come together in the fight against on-going coastal erosion”. 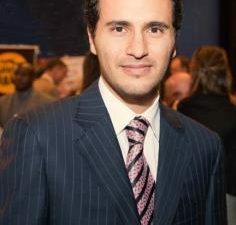 Mr. Chagoury added. “Like Victoria Island, seaside communities along Togo’s coast and in many African countries have long lived with the consequences of erosion from the Atlantic Ocean. However, with sustainable solutions and innovative partnership with private sector we can tackle coastal erosion and bring an end to this environmental issue.” Commented the President of Togo, Faure Gnassingbe. 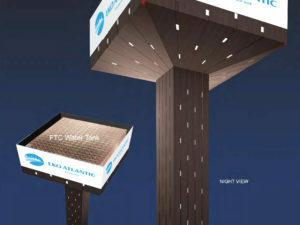 With Eko Atlantic City in place, thousands of lives, homes, businesses and vast areas of developed land in Victoria Island, Lekki and other areas have been saved from the wrath of Atlantic Ocean. Approximately 6.5 kilometers of a total of 8.5 kilometers of the Great Wall of Lagos has been completed. This great wall will continue to protect Victoria Island and parts of Lekki from erosion.